A Chat with Forest of Whispers author Jennifer Murgia! I am so happy to welcome Jennifer Murgia, author of Forest of Whispers back to Melissa’s Eclectic Bookshelf for a Witchy chat! I write moody fiction for teens – from paranormal fantasy, to contemporary gut-punchers, to my latest, a 17th century historical mystery (about witches!) I’m also the Marketing Director for Leap Books ( which I took over this past summer with fellow YA authors Shannon Delany and Judith Graves). I run a teen book festival on the east coast called YA FEST( Cyn Balog and I founded it in 2012). In my spare time I chill out with my kids, snuggle with my cat, and obsess over THE WALKING DEAD. I’m a fan of anything creepy, love the scent of lemons, and am very quiet. When did you first discover your interest in magick & witchcraft and how/when did you decide to incorporate it into your writing? I first became enamored with the idea of magick and spellcasting as a preteen when I’d gathered with friends at a slumber party and we tried to levitate someone. You know that old game “Light as a Feather. Heavy as a Rock”? That one. I was the girl who owned the Ouija Board, wrote love spells on slips of paper and burned them over white candles. No one ever taught me what to do – I just did what felt right. I grew up with the family rumor that my great, great grandmother was a witch. No one knows for certain, but I LOVED the very idea of it. It kind of gave an encouraging nod to all the witchy interest I had brewing inside me. Turning this idea into a book was something I mulled over two years ago. I took my family tree, what I loved, what I believed, and molded it into a tale I felt I could write. When I proposed the idea of a girl raised in the Black Forest by a Hedge Witch to my agent, she loved it and encouraged me to write it. Of course. I believe magick is everywhere and in all things. It’s the perfect definition to what we cannot comprehend or make sense of but it’s there . . . sort of like a pulse waiting for those sensitive enough to find it. What do you hope that readers take away with them after reading your work? I write to entertain and hope that anyone who reads my work connects with some aspect of it and feels transported into a world other than their everyday. I wrote my first book, ANGEL STAR, longhand out by the pool during the summer. Now, I can’t live without my laptop. It’s an appendage! But I do need absolute silence while I write—it helps me get into the right zone. And I usually park myself at the dining room table with my cat and a cup of coffee. Morning and afternoons are my most creative time. And while the thoughts always hurl themselves at me, I do try to curtail them after the kids are finished with school. Evening time at home is precious to me, as are weekends. 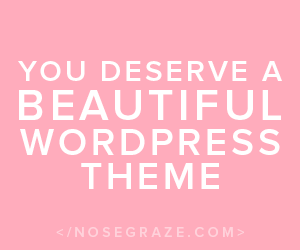 I’ll be honest and admit that criticism helps me grow and hone my craft. I write far better today than I did four years ago and I hope I continue to do so, but the tough part is developing that initial thick skin. Not everyone will love what you write. Some may even hate it. It’s when the haters go too far that kills me. It’s just not necessary. My best compliment to date is winning a 2014 Moonbeam Children’s Award, being nominated for a Cybil, being included in School Library Journal’s HOT PICKS for fall 2014 and learning one of my books became a project at a local high school. What a rush! Now to get more specific: What are some of your favorite Witchy reads? HEX HALL by Rachel Hawkins, LEGACY by Molly Cochran and CONVERSION by Katherine Howe. Do you have any favorite Witchy Movies? I’m always busy. Aside from being a mom, I handle marketing and promotion at Leap Books. I arrange and manage two book festivals and volunteer at my local library (when I can). But I also believe there are times when we need to relax and breathe. It’s good for the soul. What do you plan to do for Halloween this year? Do you plan to dress up? Since my children have outgrown trick or treating, I get to enjoy handing out the candy rather than walking through the neighborhood in search of it. If it’s nice out on Halloween night, we’ll set the fire pit up in the front yard and wait for little ghosties and goblins to come along. I don’t dress up for Halloween. 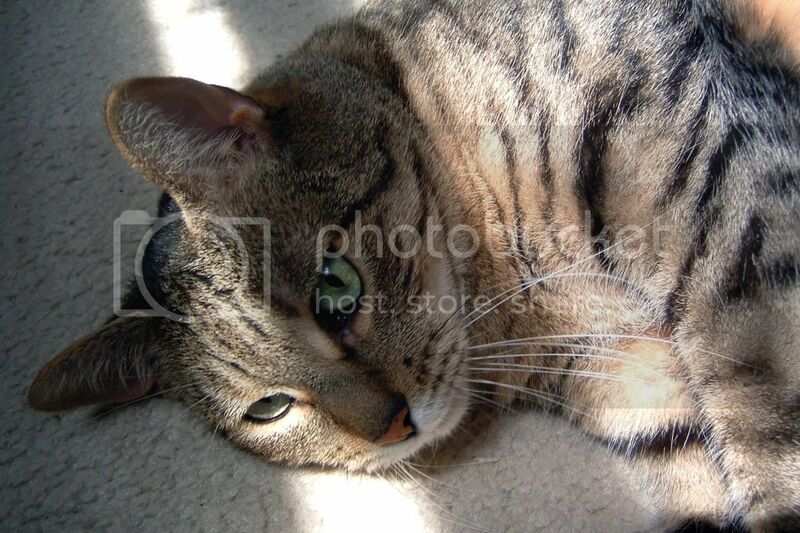 I have a 3-year old tabby named Oscar. He’s very loving cat and follows me everywhere. I think he may have been a dog in a past life. He growls, runs to the door when company arrives and plays fetch. If you were a witch, what one power would you really want to have and what power would frighten you? The power of protection – against anything. There’s so much to be frightened of these days: Ebola, terrorism, crazy drivers . . . will my children be safe? Will our world be safe? It all makes my head spin and I happen to be a very protective person, so this makes sense for me. The power that would most frighten me would be a power beyond my control. I would never want to inflict pain or heartache. Oh, and seeing the future. Although I would only enjoy that if my future held good news! Trick or Treat? Treat! I have a sweet-tooth! Candy or Caramel Popcorn? Candy! Pumpkin carving or pumpkin painting? Pumpkin carving, although I always end up with pumpkin rash up my arm. But it’s worth it. Ghosts: Real or Not? Real. Most definitely. The Great Pumpkin Charlie Brown or Friday the 13th? Charlie Brown! For years I’ve stuck a rock in my son’s trick or treat bag because of that cartoon! Twilight or Harry Potter? Twilight. 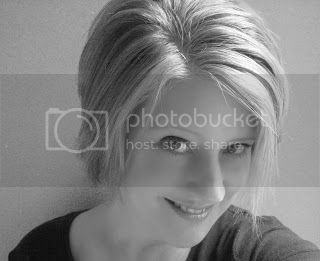 Jennifer Murgia writes Young Adult paranormal and contemporary fiction. 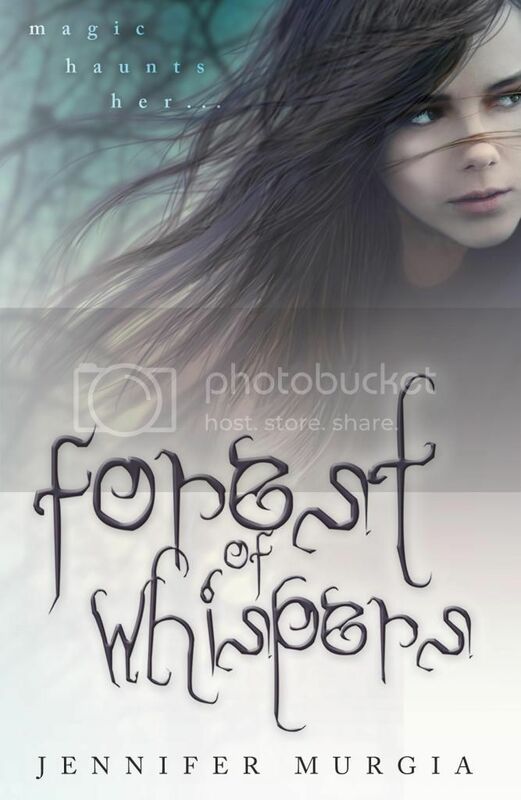 Her latest novel, FOREST OF WHISPERS, will release September 9, 2014 from Spencer Hill Press. She is the author of ANGEL STAR, LEMNISCATE & THE BLISS (Lands Atlantic Publishing) and BETWEEN THESE LINES (Playlist Fiction). In 2012, Jennifer Co-Founded YA FEST with fellow YA author/friend, Cyn Balog. She coordinates this unique annual festival, bringing teens and fellow Young Adult authors together at her hometown library in Easton PA.
Jennifer Murgia writes moody fiction for teens—from paranormal fantasy (ANGEL STAR, LEMNISCATE, THE BLISS), to contemporary gut-punchers (BETWEEN THESE LINES). Her latest, FOREST OF WHISPERS, a 17th century historical mystery (about witches!) was a School Library Journal Fall 2014 HOT TITLE, and a 2014 Moonbeam Children’s Literature Award Winner. The sequel, CASTLE OF SIGHS, released October 27, 2015 from Spencer Hill Press. She is the co-founder and coordinator of YA FEST and currently resides in Pennsylvania. Between These Lines by Jennifer Murgia – Re-Release and New Cover Reveal! Oh, this one sounds good! And what a great interview, it was so great to learn more about her! Candace recently posted…A.W. Exley Guest Post for Something Wicked Strikes & Giveaway! I love learning about authors and their books. Gads, that cover is gorgeous..I love the font..so spooky!This screams read me, and sounds perfect for Fall.